ExxonMobil’s future expansion in Baton Rouge was thrown into further uncertainty today following a company announcement in which it not only withdrew its pending ITEP requests but also called into question growth opportunities in the parish. Mayor Sharon Weston Broome, as well as business and industrial organizations, issued statements following Exxon’s announcement, expressing concern while also hoping to reaffirm Baton Rouge’s commitment to the oil-and-gas giant. “My administration has consistently supported ExxonMobil, and I will continue to do everything in my power to see that they are able to grow and prosper in Baton Rouge,” Broome says in a statement, adding her office is working tirelessly to ensure the city remains economically resilient in the face of recent challenges. The company cited the “ongoing local uncertainty” surrounding the Industrial Tax Exemption Program in Baton Rouge as the reason for withdrawing its requests, which were earlier rejected by the East Baton Rouge Parish School Board and were scheduled to be voted on by the Metro Council Wednesday. ExxonMobil was seeking two property tax breaks worth approximately $2.9 million over 10 years—one for work at its Baton Rouge refinery and the other for its polyolefins plant. Work for both was completed in 2017. With this decision, Exxon officials say they will now reassess previously projected costs for the expansion projects. The news comes in the same month that Georgia Pacific, Thompson Pipe and BASF announced workforce reduction plans—or closures—in the Baton Rouge market, impacting nearly 1,000 jobs. 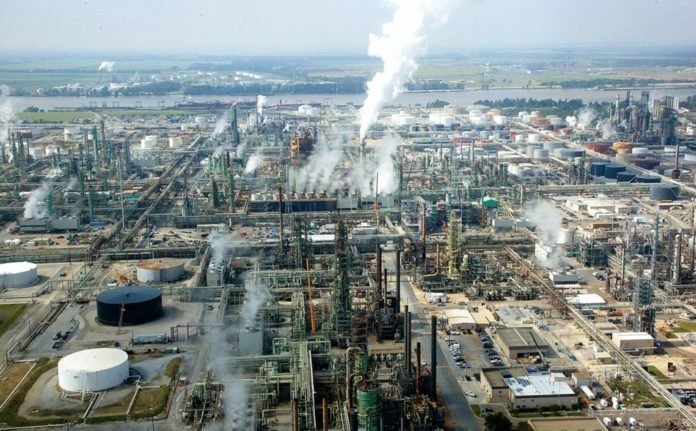 Meanwhile, Greg Bowser, president of the Louisiana Chemical Association, says the controversy over the ITEP program is a signal to companies that Louisiana is an unpredictable place. “This whole process shows how difficult it is right now for a business looking to potentially invest in Baton Rouge,” he said in a statement. “Companies rely on predictability and efficiency in making their decisions about everything from hiring and production to training. The Governor’s Office had yet to respond to requests for comment as of press time.